Are you worried that your Social Media isn’t working for you? and I’m not talking about throwing up a blog each week and ticking it off your to do list or hiring someone to pump out blogs for $10 a blog. What you really should be creating content for is so that your blog posts rank in Google and bring in traffic (organically) to your website. What Does Blogging Bootcamp Include? Blogging bootcamp is a 4 module programme to teach you the basics of blogging and how to get more traffic to your website. What Role Does Your Website Play In Blogging? What Should Be Blogging About? Why Customer Questions Are So Important? Where Can You Get Ideas From? And you will also get to write some blogs and get my feedback. No point learning how to blog unless you are going to practice your skills. 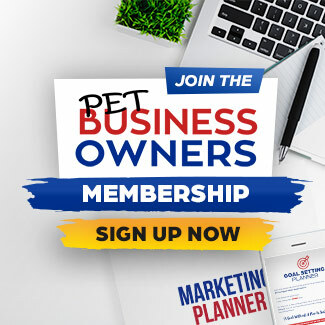 I’m sharing with you what I am doing every day and have done for the last 7 years in my own very successful Pet Business. And you know what … I LOVE BLOGGING. I love everything about the power it gives you as a business owner and the life changing results that it offers. What are people saying about my Blogging Training? Who is Blogging Bootcamp For? You can work through the course content at your own speed at a time that suits you best. Once you sign up you get access to the course videos and you can watch them at your leisure. You will also have lifetime access to the content. How Much Will Bootcamp Cost? Once you purchase the Bootcamp you can start working your way through the course material. You will be able to do it from the comfort of your own home. Everything is done online via the training centre. Yes, there will be some work to do outside off the course material that you can submit to me for feedback. This is a learn and then do it type of course! If you don’t have time then you need to make time. The sooner you learn to create amazing blog posts for your business the sooner you can start benefiting from them.